QUANG NINH (VNS) — The police and market watch officers in the coastal Quang Ninh Province's Mong Cai City seized more than 2,000 pigeons on Wednesday evening from a truck coming from China. 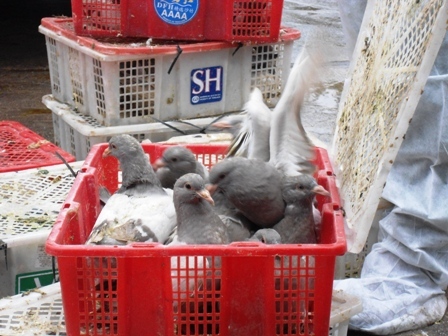 The truck driver, Vu Van Thien, of the northern Hai Duong Province, admitted to the police that he had bought the pigeons from China to sell in the domestic market. This could have posed a high risk of spreading poultry diseases here because diseases such as the H7N9 bird flu are being reported from China.